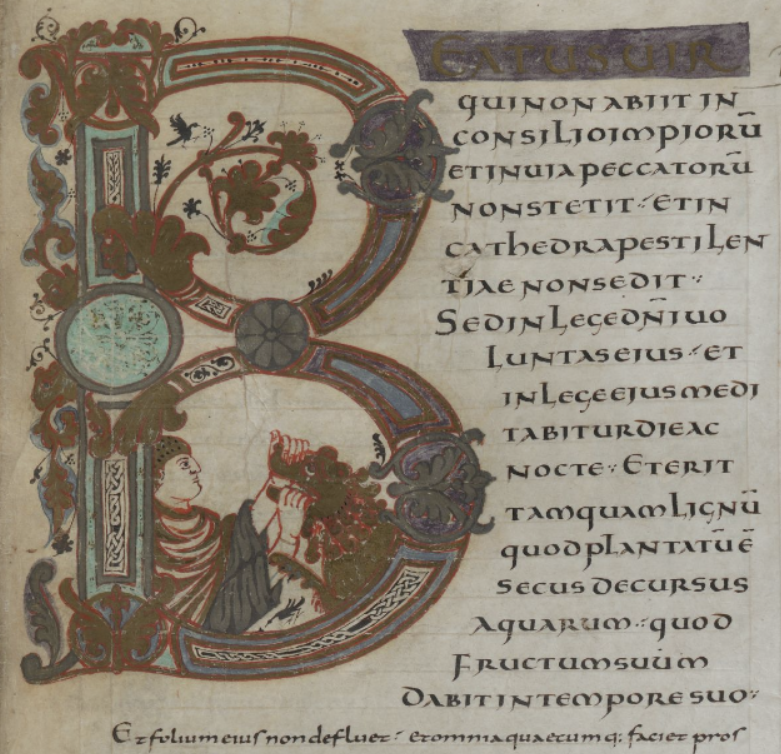 Psalm 1, Beatus vir, in the Bedford psalter MS 42131 British Library. 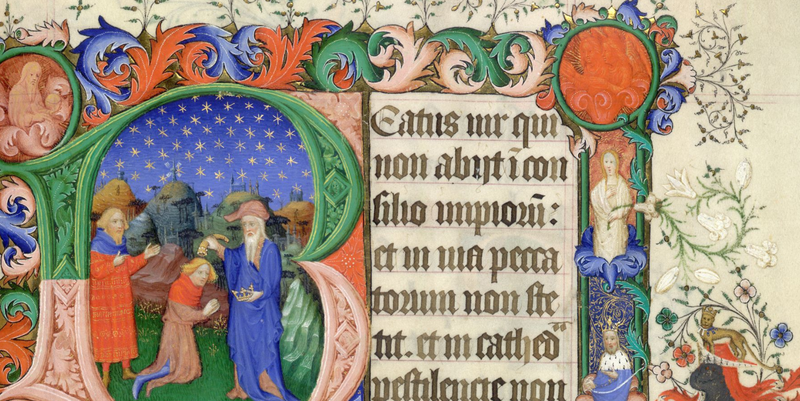 The first Psalm is well placed as an introduction to the grand themes of the whole Psalter. It urges us to follow a life-style and consciousness reaching for the highest divine standards, revealed throughout the psalms as centring on love, justice and equity. Blessed is the one who does not walk in step with the wicked … That person is like a tree planted by streams of water, which yields its fruit in season and whose leaf does not wither—whatever they do prospers. The next psalm widens the lens from personal aspirations to the collective, communal and global. The spatial and time dimensions broaden. The message is the same. 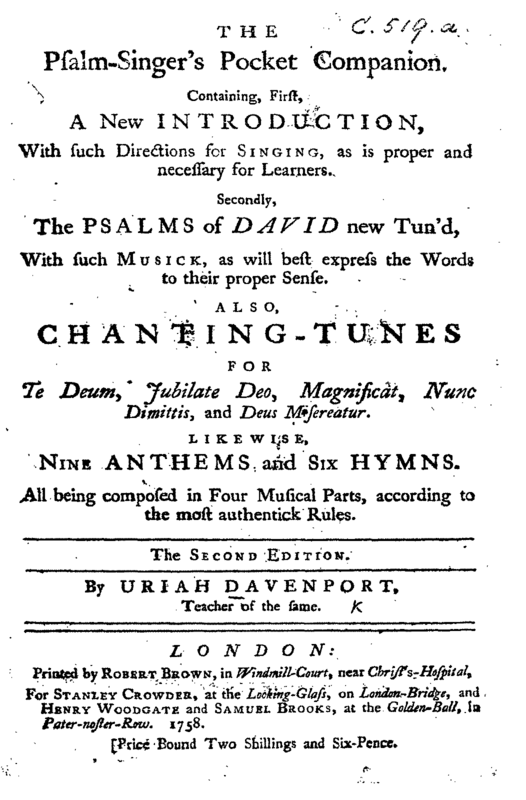 Amongst the nice collection of classical settings on CPDL, the one-pager by Uriah Davenport (c1690-1784) might suit an enthusiastic SATB quartet or group if not too choosy about dated lyrics. This arrangement is quite a sweet piece from a man who taught and performed psalms in Rushton Spencer, England, for 60 years during aperiod when psalms were more the norm than hymns in Anglican services. I have to admit that it caught my eye primarily due to its attribution to a collection entitled The Psalm-Singer’s Pocket Companion. No doubt you all have yours in your pockets? Somewhat at odds with all illustrations so far, dusty old manuscripts and publications from Europe, the very first song in Together in Song offers a little heard Thai melody. The associated paraphrase again has a rather outdated feel about it, and it lacks antiphonal or responsorial structure. However, for congregations that have not sung this one, it may be time. The music of TiS 1 is to a G pentatonic scale, starting and ending on D. While the tune is actually a traditional Thai melody, this pentatonic sound which is widely used in Chinese music has a more universally Asian feel. 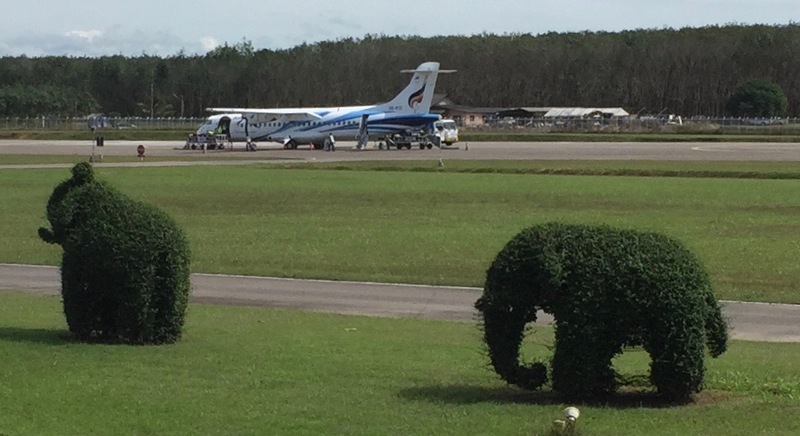 Thai elephants in topiary at Trat airport. The arrangement in the TiS music edition assumes it will be sung in unison with a backing of simple chords. These harmonies cycle lightly around the closely related vi, ii and V chords. Implied in the steady keyboard accompaniment is the idea that, in the tradition of using basic instruments with just a few strings, a simpler yet still authentic treatment might be appealing. Keeping these few strings tuned to the G pentatonic,* including D and G as the nodes of an obligato, the tune might be sung over the same basic chord throughout. A recent enthralling performance of the epic poem Beowulf by Benjamin Bagby illustrated this tradition. His Anglo-Celtic harp, upon which he accompanied spoken and sung lines of the ancient tale, was tuned thus. The concert notes referred to the importance of the singer — story-teller, reciter, actor, player and performer — at formal and informal gatherings, re-telling and preserving poems and songs for new generations. Australian Aboriginal music, with its limited chanting and singing notes and constant underlay of wood, both didgeridoo and sticks, is closely related. In sibling musical traditions in many corners of the world, no two performances would ever have been identical; but the spirit of the story of hero, people, myth or deity is honoured with a passion. The words of the tale must therefore be prominent and convincing, supported by music according to the action or message. Surely this is the path of psalmists over many centuries, from a king with his harp to the tribal storyteller by the fire with whatever instrument was to hand. People respond with chorus or at will, engaging and identifying with feeling. Many ecclesiastical and monastic adaptations are just part of this broad stream, though some have accumulated an accretion of bells and whistles — and sometimes mould and rust, no doubt. SWUC members will realise why we just don’t sing a set hymn for these poetic gems. Sing a new song, cherish the roots. * The pentatonic scale is 1, 2, 3, 5, 6; or do re mi so la. In this Thai tune the start and final notes are 5 in the G pentatonic (D). 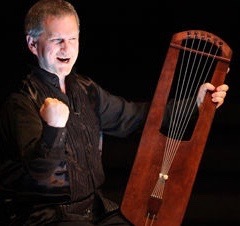 The six strings of Benjamin Bagby’s beautiful Anglo-Celtic lyre, a replica of one recovered from an ancient tomb in Europe, were tuned to 6, 1, 2, 3, 5, 6.